After a rough start in the 80’s decade and a huge comeback, Tina became more successful than every other female solo performer. Unfortunately Tina announced in 1989 that she would hang away her shoes and dresses after the "Foreign Affair Farewell Tour" from 1990. For this particular tour she would only perform in Europe, and no USA tour because the album didn’t get the attention in the USA. 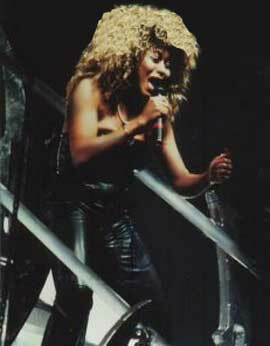 Tina started with a different setlist at the start of her 1990 tour, but changed it after a few dates. In those first few dates, Tina included "River Deep" into her setlist. The rumour was that people left during the middle of the concerts because they’ve already heard the best songs in the beginning, so Tina immediately changed the setlist and "River Deep" wasn’t on the setlist anymore. 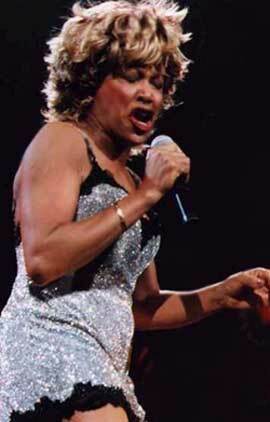 Lucky us we have an audience recording of Tina in Milan 1990 and Antwerp 1990 where she did perform the song. Here’s the performance from Antwerp 1990. In 1991 her first compilation album "Simply The Best" was released. An album filled with hits and a few new songs. "River Deep, Mountain High" was also on it. The original recording from Phil Spector, which was clearly remastered, was the oldest song on the album. A few years later in 1993 Tina’s life story was turned into a movie called "What’s Love Got To Do With It". Angela Basset starring as Tina and Laurence Fishburne starring as Ike. "River Deep" was included in the movie and the scene was dramatized and Tina was there. The scene shows us how Phil Spector attends an Ike & Tina performance and how desperate he wants to record with Tina and sends Ike off. 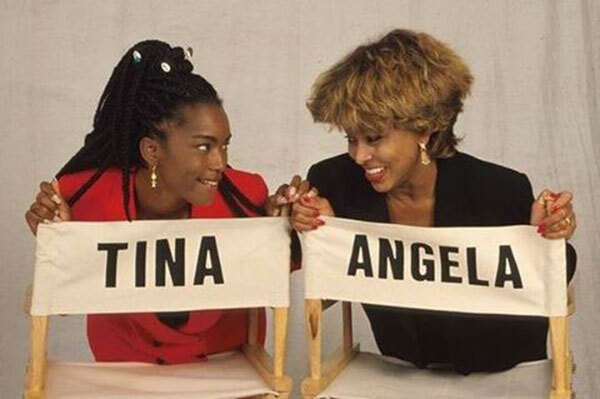 Tina gave Angela tips and tricks to act more like herself. Tina also arranged a lot of clothing and personal stuff to make the scene better. After the movie was released, Tina released a soundtrack for the movie with a few new songs and re-recorded versions of old Ike & Tina songs. "River Deep" wasn’t include on the soundtrack album or even re-recorded by Tina herself. 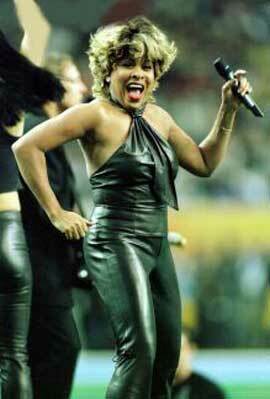 Because of Tina’s high popularity she decided to tour in the USA and Australia in 1993/1994. She did do a few dates in Europe, but not an European tour in general. "River Deep" wasn’t included on her live setlist this time. 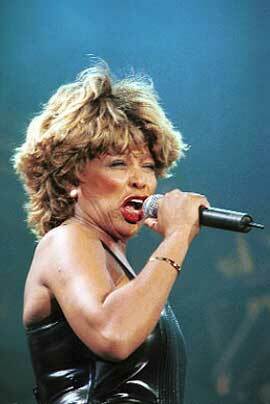 In 1995 Tina was asked to sing the theme song to the newest James Bond movie "Goldeneye" . She accepted the invitation knowing she has to come out again of her rest, make a new album and tour again. We are happy she did do this and in 1996 the "Wildest Dreams" album was released, followed by the "Wildest Dreams World Tour" in 1996/1997 Tina included "River Deep" again in her setlist with old footage playing on the screen. Her live version was getting better and better and fans were waiting for this epic classic. Here we have the 1996 version of "River Deep", taped in Amsterdam. "River Deep, Mountain High" became inducted in the Hall Of Fame in 1999. Phil Spector and Tina finally got the recognition for the song after 33 years. 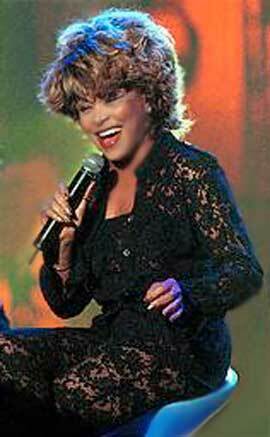 Tina performed the song in a French Tv Show Taratata also in 1999. It was the last time she performed the song in a TV show and this was also the first and the last time she performed "River Deep" in a TV show during her solo career. 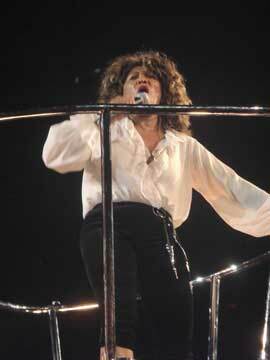 Tina turned 60 in 1999 and the song was performed during her 60th birthday concert in London. She released her last studio album "Twenty Four Seven" which would be followed by a world tour in 2000. Tina also told the public that this would be the last time she toured the world as a big production world tour. 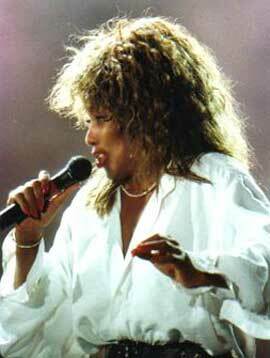 Tina included "River Deep" on her setlist and audiences went crazy when they saw old footage of Tina again performing the song. The song got better and better during the years and it was a highlight in the show. Here’s a clip of Tina performing "River Deep" in 2000. After a 4-5 year break, Tina released a compilation double cd called "All The Best", with her best work and three new songs. Tina did a huge TV promotion tour during 2004-2005. After a stop at the Oprah Show in 2005, Oprah put Tina on the spot and asked what she possibly could do to get Tina to tour again. Tina knew that Oprah was up to something but didn’t know what, but she would consider the possibility. Well she took a few years to think and came back to the public, which no one would ever have thought. Tina came back in the spotlights often by attending fashion shows, private performances and then Beyonce invited her to join her at the 50th anniversary of the Grammy Awards in 2008. People all over the world became crazy after Tina accepted the invitation and let the world know that altough she was out of sight for a few years, that she certainly wasn’t out of shape. After a stunning entrance and medley of hits, Beyonce joined her to sing "Proud Mary" Together. In May 2008 Oprah invited Tina again for an interview together with her long-time friend Cher and Tina made the surprising announcement to tour again for the last time. 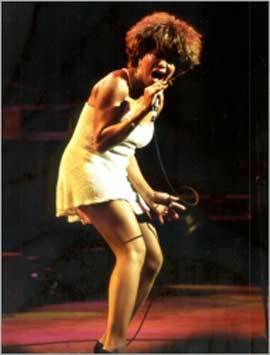 The world turned upside down, jaws dropped and Tina rocked out every venue she played at the age of 69. The tour started in October 2008. Stunning looking Tina singing most of her hits, including the Classic "River Deep", she left her fans in May 2009 with the message "We will only see each other again in our memories". Here’s a video of Tina performing "River Deep Mountain High" in 2009 which for a lot of us will be a hell of great memory. After 5 weeks, this "River Deep" journey and the 50th anniversary has come to an end. We have brought you all from 1966 – now with facts, pictures, audio and video footage. We wanted to share our Tina passion and celebrate this milestone anniversary with all us fans and Tina admirers. "River Deep, Mountain High" will always be a classic and will never leave this world as long as it exists. Other artists, professionals or amateurs, have covered the song many times, or will cover the song in the future. This song will be alive forever, also by it’s Hall Of Fame induction in 1999. If you still haven’t the original album of "River Deep, Mountain High", you can order it on Amazon, or search for this magnificent album in CD, vinyl or cassette format on Ebay. We want to thank you for joining us on our "River Deep" Celebration Journey and we’ll hope you will join us again later this year with our other celebrations ahead. Big Kiss! !